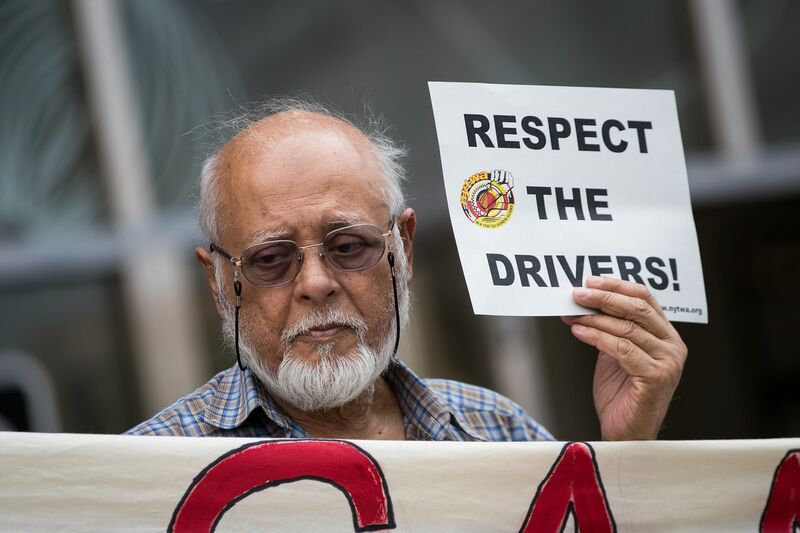 Devember 4, historical Tuesday, New York City’s Taxi and Limousine Commission decides to adopt a pay rise for ride-hail drivers working for companies such as Uber or Lyft. This makes New York the first city in U.S. which implemented a minimal wage for app-based drivers, using the algorithm to carry passengers. After passing the rule, they will receive $27.86 per hour, $17.22 after expenses, which is about $5 more per hour than the current average of $11.90. This change is about to be implemented starting next year and and will make the average earnings of drivers increase by $9,600 per year. Voting on this law was caused by many protests of the application drivers. As they are not considered as regular employees, but independent contractors, the right to minimum hourly wage does not include them. 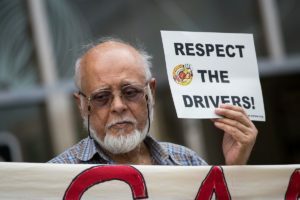 What is more, the drivers have accused companies of incorrect treatment of employees, cutting their salaries and earnings disproportionate to the amount of work. Along with the uncontrollable development and demand for such services ( in May 2018 there were 18 million Uber rides registered in New York City, which makes it almost six times more than 3 years ago), drivers were loaded with heavy financial burdens and they were unable to live a decent life. Difficult competition and stressful working conditions undoubtedly transformed their lives into a very hard time. The situation was additionally intensified by the news about six suicides committed by professional drivers during the year in 2017-2018. The formula considers the non-driving time as well as the time spent traveling to the designated place. Additional remuneration for courses outside the city is also planned to compensate drivers for the extra kilometers. What is more, they will receive a “shared ride” bonus, which was set by TLC for picking up and dropping off carpool riders. What may be the possible results of such decision? The representatives of app-based companies, who aren’t sarisfied with the outcome of the case, claim that the increase of drivers’ salaries will lead to the overload of traffic on the Manhattan’s streets, unfair competition and unnecessary increase in tolls. The question however; is whether New York should become an example for other cities in terms of regulating ride-hail companies? As far as I am concerned, the steps taken in New York will undoubtedly change the perception of modern applications-based professions. Our world is constantly changing, new technologies appear every day as well as new earning possibilities, which are different from traditional professions known to us from ages. As a 21st century society, we should be able to adapt to these changes, take into account new development paths and give them a chance. Drivers making money through applications, despite the many controversies associated with it, they try to make a living through hard work. I believe that the right to a minimum wage also applies to them. 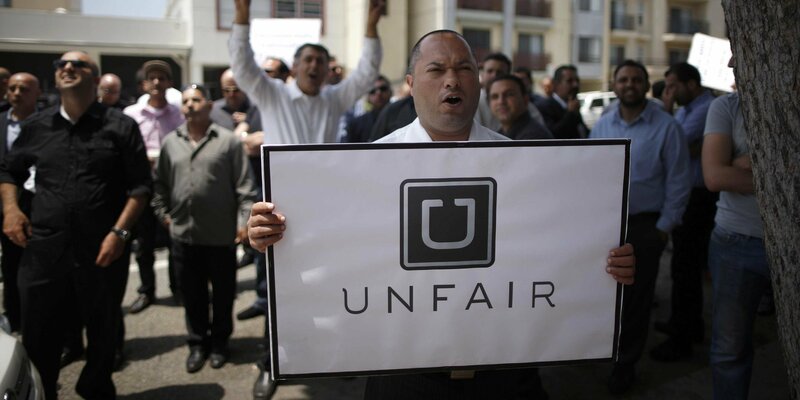 Let’s look at the current realities – each of us has downloaded Uber or Taxify, each of us uses their services – in fact I dare say that these drivers may work even harder than regular taxi drivers, especially in such a crowded city as New York City. According to the well-known saying- hard work pays off – let’s reward people who make an effort to change something in their lives, who provide for their families through hard work, not stealing or cheating. I believe that other major cities will follow New York and introduce slowly implementation of legal obligations in other places.